QS said Cambridge, which ranked 7th in the overall business and management studies list, scored highly because it was active in encouraging and enabling entrepreneurship from its students, with close ties to the Cambridge Cluster - an area home to several high-tech software, electronics and biotechnology businesses. The QS World University Rankings 2018 cover 48 individual subject types, judging each school across a range criteria including academic reputation, research citations per paper, productivity and impact of published work, and reputation among employers. For business and management studies, the United States dominates the top 10, with Harvard University ranking first overall. And using the employer reputation criteria within its world rankings by subject, QS has also listed the business schools most popular with employers. Harvard University again comes out on top, achieving a maximum score of 100. According to QS, 89% of the class of 2017 accepted an employment offer within three months of graduating, with a median base salary of $135,000. Graduates took jobs in industries such as consulting, financial services, technology, healthcare and manufacturing. 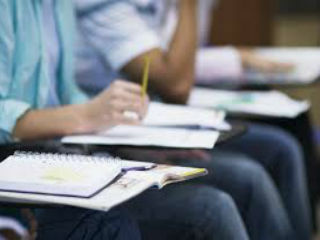 The University of Cambridge and the Massachusetts Institute of Technology (MIT) rank joint-second, both scoring 96.1. MIT alumni, meanwhile, have founded more than 650 companies, which QS says contributes to its impressive employer reputation score. MIT was ranked by QS as the fourth best business school overall. The top 10 for employer reputation is not merely a reshuffle of the overall list, however. 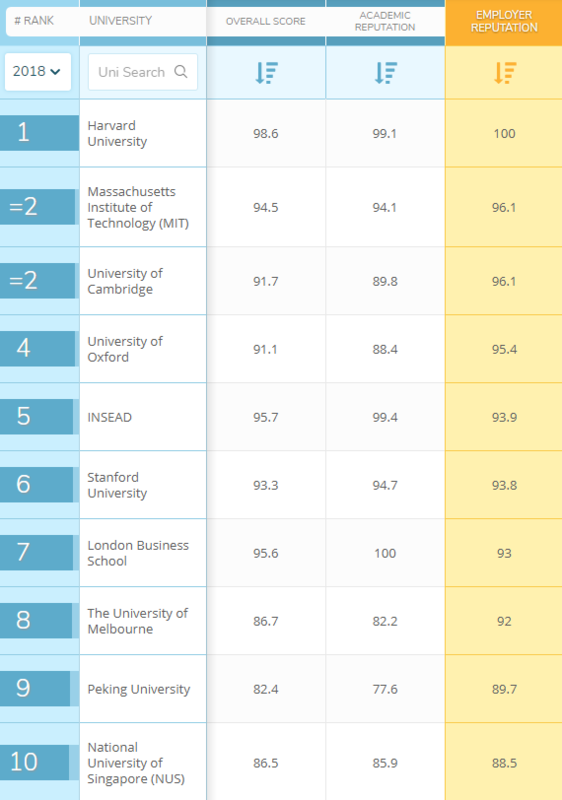 The National University of Singapore, for example, which ranks 15th overall, is 10th in the employer reputation list, scoring 88.5. 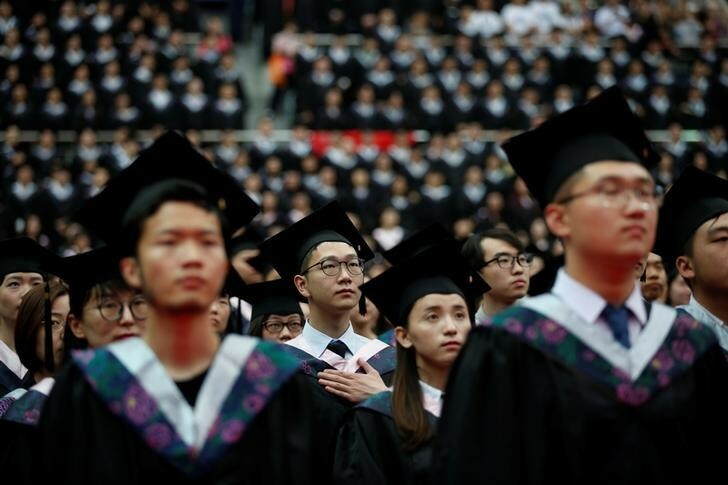 Perhaps more impressively, Peking University, which ranked 28th overall, is ninth for employer reputation, scoring 89.7. According to QS, those who study business at Peking University benefit from close proximity to the global financial center of Hong Kong, and the school’s careers centre offers workshops designed to improve interview and networking skills.